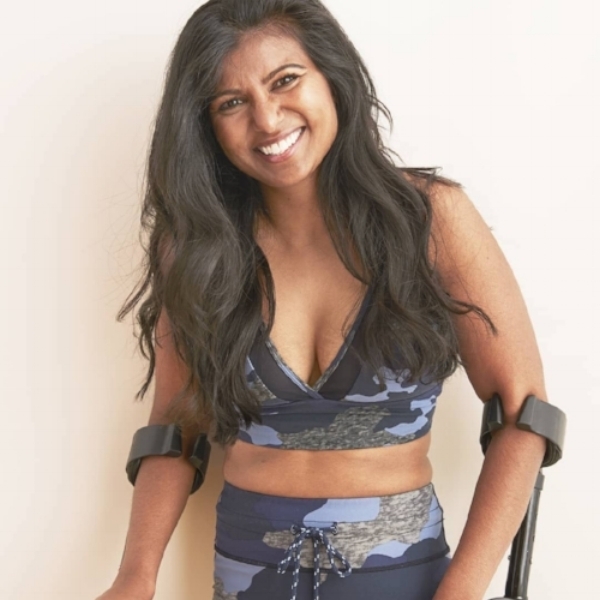 Rajee Aerie (5’0’’) is a fashion model who fiercely advocates for disability representation and inclusion in the media. Being a survivor of Polio, Rajee knows well the challenges that come with being differently abled. At a young age, she had to deal with surgeries, physical therapy and overcoming many other challenges to be able to walk. But because of her resilient spirit and can-do attitude, Rajee graduated from being in a wheelchair to walking with braces and crutches. In a time where beauty standards are pitifully non-inclusive, Rajee is breaking barriers not only in the fashion industry, but also in new media in general. She (like all of us) has struggled at times to love herself; denigrating the features that make her unique. But with continuous positive affirmation she has learned to love herself and celebrate all of what makes her, her. Looking to the future, Rajee hopes to continue to advocate for disability representation in the media because she believes it is her purpose. She strongly advocates for women of all colors, shapes, sizes and abilities to be confident and to pursue greatness in any field regardless of the normative ideals that may seem to serve as barriers.